Business process outsourcing (BPO) is a widely embraced practice that taps outsourced call center companies worldwide. Despite its benefits, many companies are hesitant of outsourcing as they fear they could lose their competitive edge. Below are some arguments that will prove that outsourcing offers strategic advantages. One of the most important functions of tapping a call center is its ability to offer continuous service. This means that companies operating 24/7 will be able to offer their services with little to no downtime, and will have minimal wait time between calls. Similarly, tapping call centers enable companies to be available across many platforms, including voice and non-voice driven campaigns, emails, social media, and live chat functions. Being available in a wide range of medium ensures that clients will be able to reach their service providers utilizing the platform most accessible to them. Tapping outsourced call centers gives companies the opportunity to employ highly experienced team that is specifically trained to respond to customers in all scenarios: they can soothe irate customers, resolve disputes, and enhance customer retention, among many others. Furthermore, the employment terms of these staff would be highly flexible, an asset should a company decide to upscale or downscale. This means that the outsourced firm will handle most employee issues including finding suitable candidates, hiring, processing, training, and letting them go, should the accounts and campaigns need to close down. 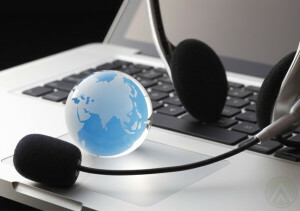 Finally, tapping call centers give companies the opportunity to reduce costs. Labor expenses would be managed by their outsourced partner, including overhead expenses such as rent, office equipment, and facilities, among others. Companies will be able to focus on their strengths and on growth efforts, without being restricted by the number of customer service issues they have to address. By collaborating with outsourced call centers, companies are able to take advantage of several benefits offered by outsourcing. While the three are the most dominant arguments for outsourcing, more are available at our website.